Dubai: Cross Counter, the Melbourne Cup winner trained by Charlie Appleby, was back with a bang adding the $1 million Dubai Gold Cup to his flourishing resume under a confident ride by William Buick. Ridden on the rails, just off the pace set by fellow Godolphin hope Red Galileo, Cross Counter was asked for his effort by Buick approaching the final two furlongs and the response was instantaneous, just as we have come to expect from this four-year-old son of Teofilo. Appleby’s second string, Ispolini, ridden by Brett Doyle looked to have every chance as the runners flattened for the run to the judge, but was easily passed closer to home by the impressive winner. French raider Call The Wild attempted to throw down a challenge under the urgings of Aurellien Lemaitre but could finish no better than third, three lengths behind the two Appleby-trained horses. 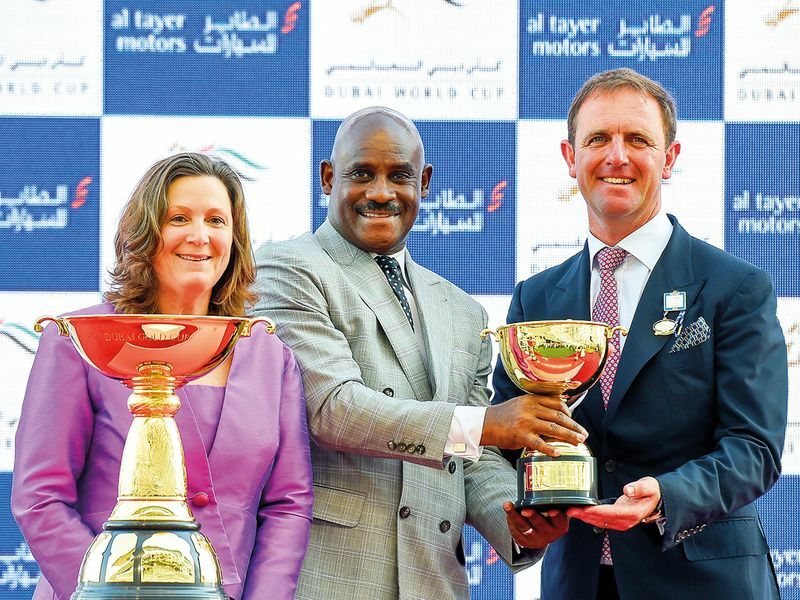 Godolphin was created by His Highness Shaikh Mohammad Bin Rashid Al Maktoum, Vice-President and Prime Minister of the UAE and Ruler of Dubai, to win the very best races in the world and Appleby paid tribute to Shaikh Mohammad’s planning. 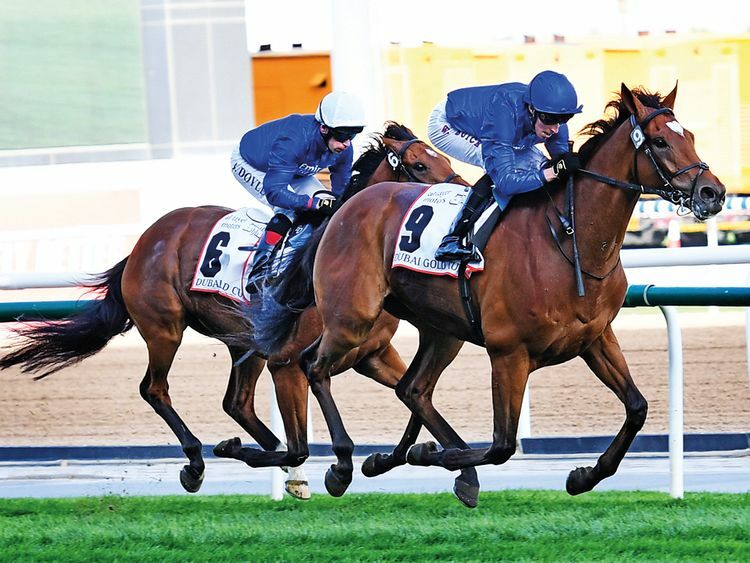 “His Highness wanted us to bring him to Dubai after the Melbourne Cup as he thought that the Dubai Gold Cup was the perfect race for Cross Counter to run in,” said Appleby. “It was a tough ask to go and win the Melbourne Cup the way he did it, but that is always at the back of the mind. This was our first opportunity to run him since then. Commenting on the slow pace in which the race was run the Godolphin handler said: “To be fair Christophe [Soumillon and Team Talk] came outside William and that gave him a nice pocket. Appleby would not commit to what summer programme he had in mind for Cross Counter or whether he would be trained to return to Australia for a repeat run in the Melbourne Cup. “We would like to see what he can do further down the line. Every runner we have tonight is important, it’s the world stage and I’m happy that did what he had to do to win,” he said. Appleby was also full of praise for Ispolini, a horse that has simply thrived in Dubai this season. “Brett [Doyle] gave him a lovely ride and gave him every chance of winning,” he said. “Look at the end of the day he has lost nothing in defeat to a horse like Cross Counter. Call The Wind ran a respectable race having improved last season to win the Group 1 Prix du Cadran at Longchamp, on Arc day. While Hong Kong hope Gold Mount ran on for fourth, but was never a challenge to the leaders. 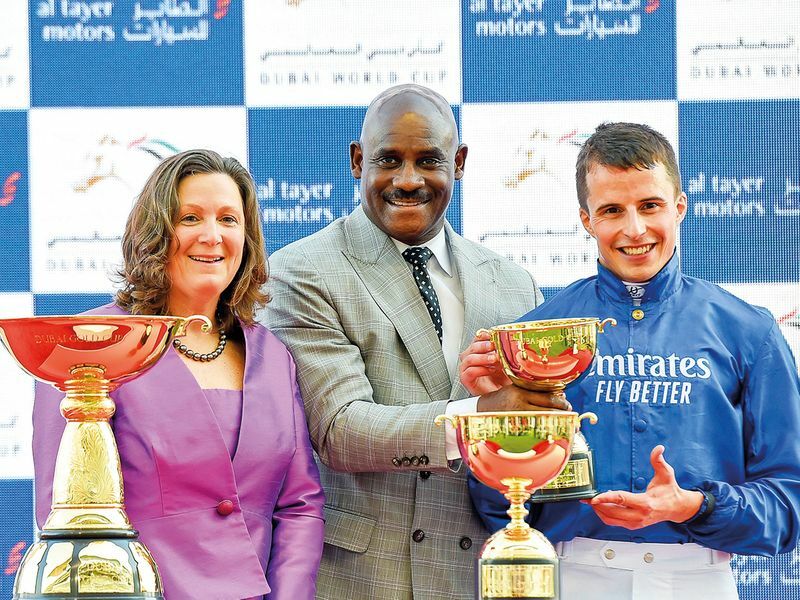 This was Godolphin’s third success in the Gold Cup following Opinion Poll in 2012 and Cavalryman in 2013.